Number one seed Van Gerwen was odds-on to win the event before the start of play but fellow Dutchman De Zwaan repeated his UK Open triumph of March with a stunning 10-6 victory. With Van Gerwen not at his usual brilliant best, the exciting youngster took full advantage, firing in a game-changing 121 checkout to level the tie at 6-6. 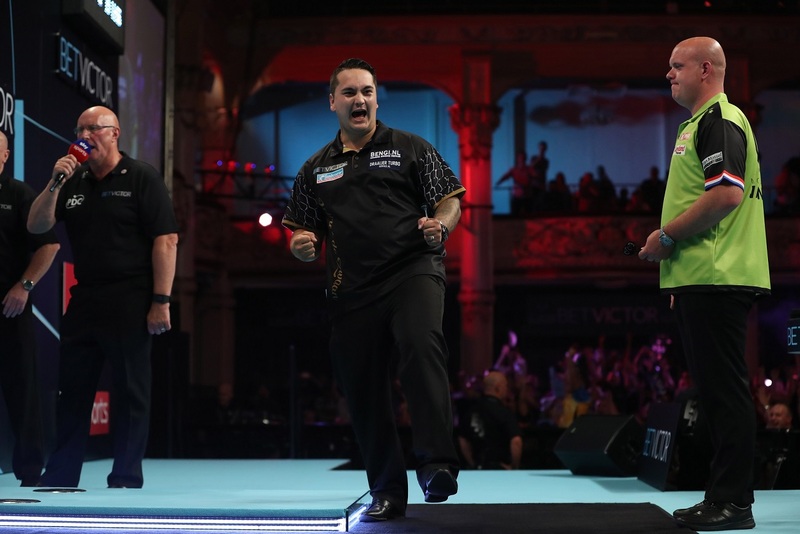 De Zwaan then reeled off the next four legs to raise the roof at the Winter Gardens and set up a second round clash with Adrian Lewis. "I am absolutely over the moon with this win," said De Zwaan, who was making his World Matchplay debut after winning a Players Championship event in April. "I always believe in myself, I said to myself 'why can't I beat Michael?' I know I am good enough to do it. "To win this game on this stage is an absolute dream for me, I have to keep pinching myself! "Everything has come together for me recently, I'm practicing hard every day and now it is paying off. "I'm looking forward to playing Adrian on Tuesday and I want to cause another upset." Lewis started well, taking the opening two legs before the Yorkshireman fought back to lead 7-3 thanks to some clinical double hitting. 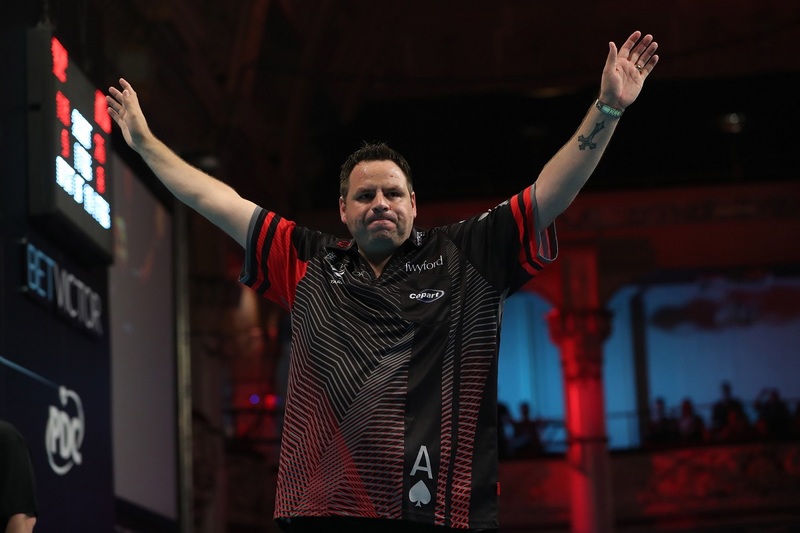 The two-time World Champion dug deep to get himself back in the contest and went within a leg of victory at 9-8, before hitting a magnificent 116 finish - the highest of the match - to seal his place in the second round. "I felt a bit nervous tonight because I've not played on TV for seven months," said Lewis. "When I was 7-3 down I knew I had to find something and I did that. James was fantastic in the first ten legs, I didn't quite have my rhythm at times but I sped up towards the end and got the job done. "I've been feeling the pressure in first round games all year so it's a relief to get through and hopefully I can push on now." Brown began brightly, leading 3-2 going into the first break before Chisnall hit brilliant back-to-back checkouts of 148 and 147 to take the lead for the first time in the contest. 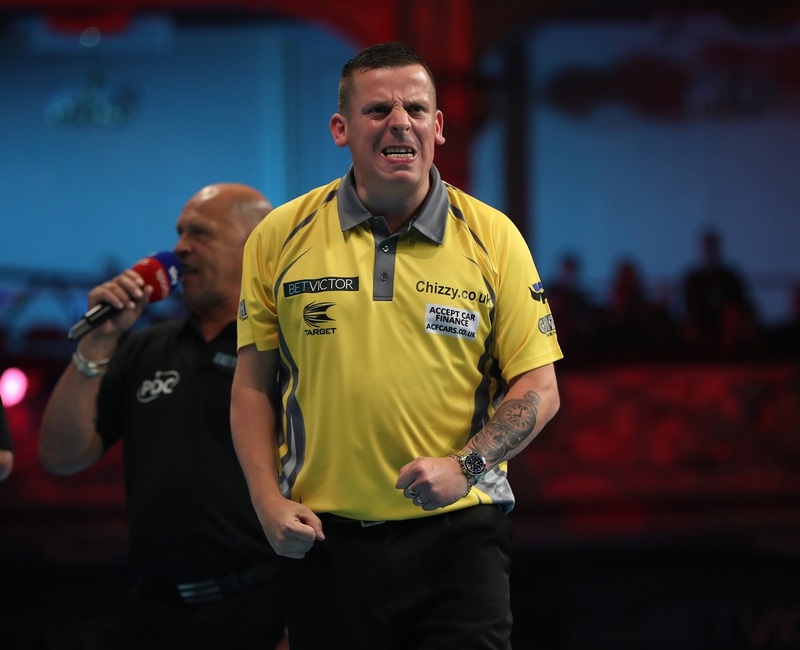 Although Brown levelled at 4-4, Chisnall continued his charge as the former Grand Slam of Darts finalist rattled off the next six legs without reply to seal his place in the last 16 for a sixth year in succession. "It was tricky and it's never easy to play Keegan," said Chisnall. "The 148 was a big turning point because he was on a double, and I think from then his head went down. "I've got to play a lot better but I've done a lot of practise in the last couple of weeks and it's worked." Fresh from claiming the Shanghai Darts Masters title, Smith was made to work hard for the victory by the Welshman in a tight clash. 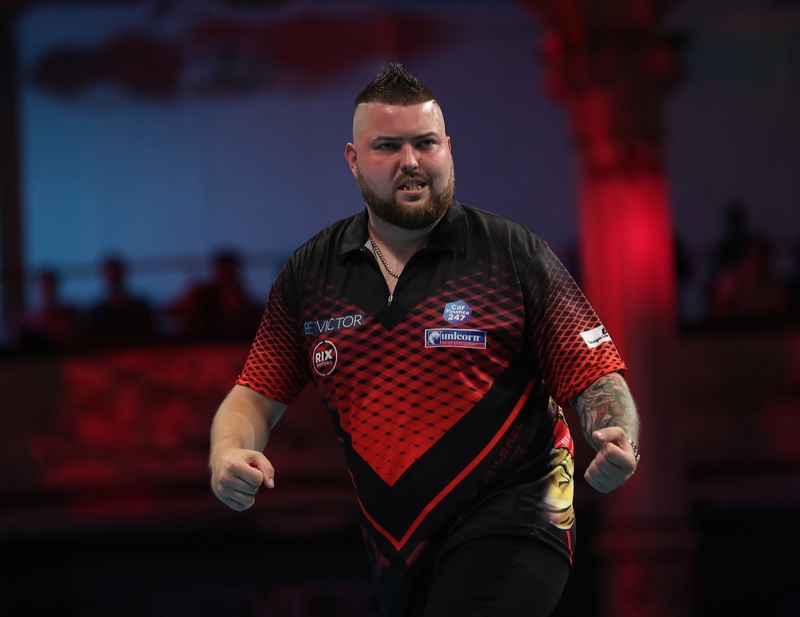 With Smith averaging ten points more than Clayton and leading 7-6, the former World Youth Champion kicked on in the final three legs to set up an all-St Helens clash with Chisnall in round two. "I kept letting Jonny back in and it was a bit of a struggle, but I'm still in," said Smith, the 2018 Premier League finalist. "I didn't play my best but I ground out the victory. "I felt like I was a bit dodgy but I'm glad to get over the line and get the win, and I'm looking forward to Tuesday." Smith admitted: "After Michael van Gerwen lost, I went to give myself a little talking to. "It's not opened up because I still had a game to play tonight and another game before I played Michael. I could only worry about Michael van Gerwen in the quarter-finals so I had to stay focused."